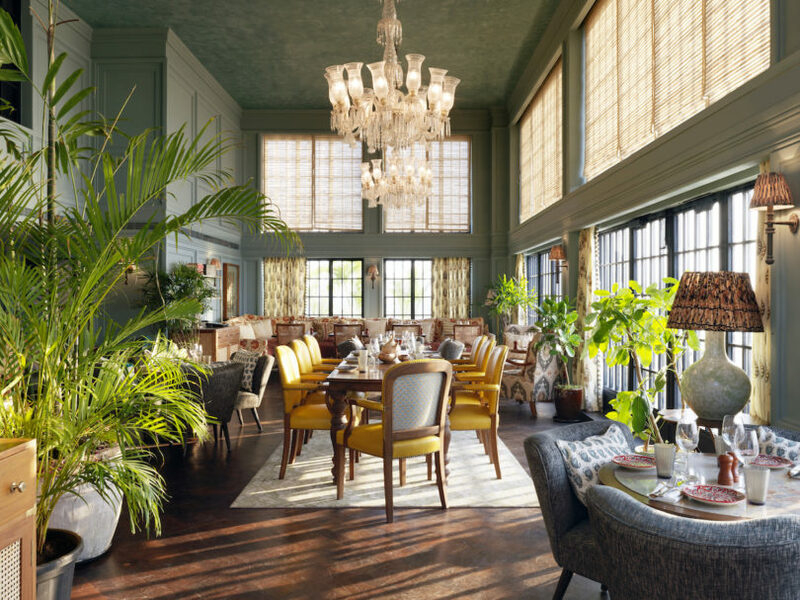 Soho House Mumbai Adapts their Design Language to the ?Beverly Hills of Bollywood? Every house has restaurants, cinemas, spas, workspaces and hotels and the Soho House Mumbai has 38 bedrooms, a members? space, a gym, rooftop pool, and 34-seat seating room. Cecconi?s Mumbai and The Allis serve food on the ground floor. Each Soho House has an aesthetic that is consistently modern and luxurious. The trick is to adapt the Soho House design language to the local neighborhood vibe. The 11-storey Soho House Mumbai is located in the upmarket neighborhood of Juhu, with the buzzing Juhu beach attracting Bollywood Celebrities from Amitabh Bachchan to Anbil Kapoor and Hritik Roshnan. The area is otherwise known as the ?Beverly Hills of Bollywood.? Nick Jones and director of Soho House Design Linda Boronkay took their inspiration from the city and placed colorful block printed fabrics from Rajasthan on each floor. On the rooftop bar and restaurant, Indian cement tiles decorate the floor, walls are clad with reclaimed sleeper wood, and the cane loose furniture is locally produced. The screening room?s 32 armchairs are covered with mohair and Rajasthani hand-printed fabrics. The Allis, a lounge and cafe, boasts a reclaimed timber herringbone floor juxtaposed with Jaipur green marble bar tops, ceramic tiles and printed textiles.